Nothing like some currywurst to kick off your tour of Berlin. H. L. Mencken once wrote, “…there are more different sausages in Germany than there are breakfast foods in America, and if there is a bad one among them then I have never heard of it.” With over 1,500 different kinds of sausages – called wursts – Germany puts the American hotdog to shame. 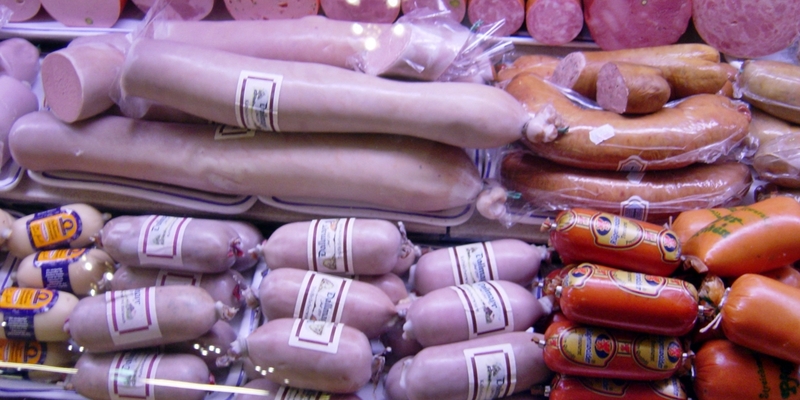 If you’re headed that way, here are a few of the best wursts Germany has to offer. Bratwurst is Germany’s closest equivalent to the old fashioned American hotdog, and can be made using veal, pork or beef. As Germany’s most classic wurst, the bratwurst boasts over 50 variations in and of itself, and it dates all the way back to 1313 in Nuremberg. Unlike American hotdogs, bratwursts are traditionally eaten without bread or a bun, and are served with a heaping pile of sauerkraut or potatoes. It doesn’t get more German than that. Made from fresh pig’s blood and other pork products, blutwurst may not sound like the most appealing meal you’ll have in Germany. But it’s one of the most traditional – and surprisingly delicious – wursts in the country. Produced in various sizes, blutwurst is usually eaten warm but can also be served cool as a sliceable coldcut the next day for breakfast. Blutwurst is the oldest known wurst in Germany, and even Homer references its consumption in the Odyssey. If it’s good enough for Odysseus, it’s a must-try when sampling German cuisine. While it can be found almost anywhere in Germany, currywurst is most famous in Berlin, where it originated in the 1940s. This classic pork sausage is steamed, fried and then topped with curry ketchup. 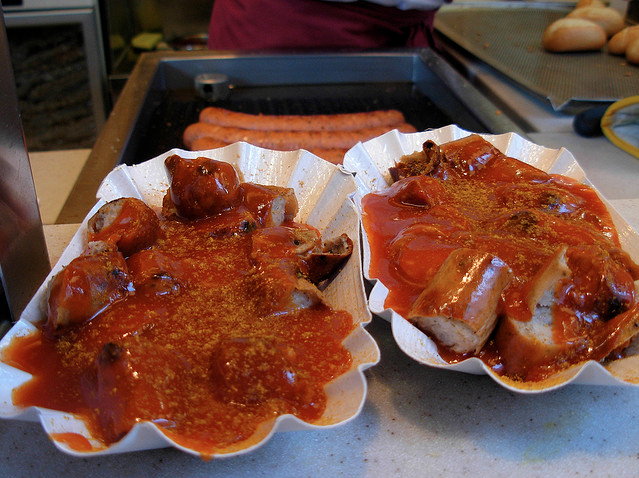 Most often, currywurst is sold as a takeaway snack from various stands throughout the city. 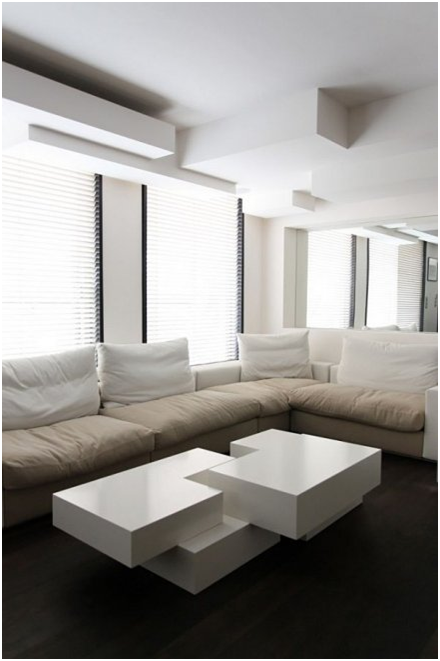 For the best of the best (and dirt cheap to boot,) check out Curry 36 on Mehringdamm street in Berlin. Head down to Munich and you’ll find the hometown of weisswurst, a long sausage that’s almost white in color. Made from a combination of veal and pork, weisswurst is traditionally topped with lemon-powder, giving it a lighter, more citrusy taste than most of its wurst counterparts. It’s a signature of Munich’s annual Oktoberfest and guest stars at almost any local celebration or festival throughout Bavaria. Weisswurst actually came into existence in the 1850s by accident, when its creator, Joseph Moser, didn’t have the necessary ingredients for his normal bratwursts. To please impatient customers, he threw together what he did have in the kitchen, and weisswurst was born. No list of the best wurstsis complete without the frankfurter würstchen, a wurst so revered it’s actually been under government protection since 1860. That year a law was passed declaring that only frankfurters produced in the city of Frankfurt and its surrounding suburbs could bear the name. Those made elsewhere must carry a name that basically translates to, This isn’t a real frankfurt but it’s made like one. Whether made in Frankfurt or not, this pork sausage is long, thin and has a subtle smoky flavor. Nothing says good morning like a soft, spreadable wurst. Germans often start their day with a breakfast of fresh bread over which they slather this sausage containing pork, beef and bacon. Mettwurst brings meaty mornings back in style with a smooth, smoky flavor and consistency close to that of creamed cheese. Forget the schnitzel, forget the strudel. Germany boasts history-laden cuisine of all types, but its wurst is its best. And while they can be consumed for double-digit prices in the finest of restaurants, most wursts can also be found on a corner street stand or an old family shop on the cheap. For travelers looking to sample German food on a budget, a tour de wursts can take one from one end of the country to the other without breaking the bank.